Hi Friends! Today is the day you can start earning MORE free items with your Sale-a-bration orders! To see all the SAB products you can choose from, click here. There are only two weeks left of Sale-a-bration so you may want to consider stocking up on your favourite adhesives, paper, etc and earn your free SAB gifts at the same time. Also, keep in mind that soon our 2016-2018 In Color collection will be retiring so I encourage you to also stock up these items before they're gone forever (FYI: the ink refills are always the first to sell out, usually by April). Today's card share is another tutorial from our Leaders Project group and was created by Laura Milligan. I love this sweet card! It uses "A Good Day" stamp set and coordinating Scallop Circle Punches. Fold the Whisper White cardstock in half to create card base. Use snail adhesive to attach the Pool Party and Designer Paper panels to card front. 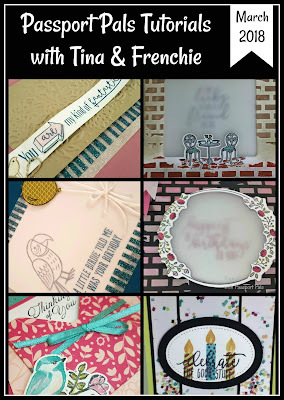 With the Big Shot and the fourth largest scallop circle from the Layering Circles Framelits, cut out a scalloped circle with the cardstock vellum. Use the 1 3/8” circle punch to punch a scallop circle from a scrap of Pool Party cardstock. Stamp the bunny onto White cardstock with Memento Black ink. 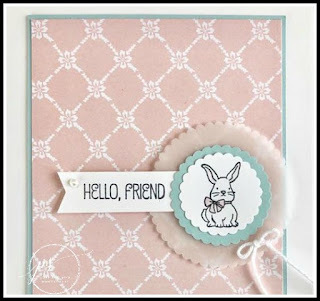 Use the Light Pink Stampin’ Blend to add some color to the bunny’s ears, nose and bow. Punch bunny image with the 1 1/8” scallop circle, and use snail adhesive to attach onto the Pool Party punched scallop circle. Stamp “hello friend” onto the small white cardstock piece, and use scissors to create a V on the left edge. Use snail to attach banner behind the Pool Party scalloped circle, and attach to the vellum circle. Position on card front with Stampin’ Dimensionals. To finish the card, add a small pearl to the banner and a small White Baker’s Twine bow to the card front with a glue dot. Paper Pumpkin by Stampin’ Up! 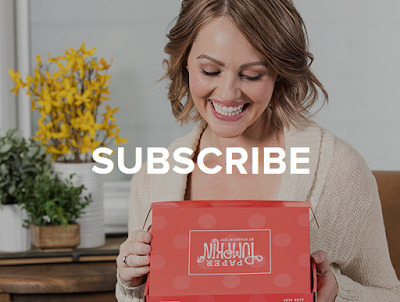 is a crafting subscription kit that delivers creativity to your door every month. Each box includes everything you need to make a stunning project. We'll surprise you with projects like cards, gift packaging, home décor, and more for just $26.95 a month (shipping included). Talk about happy mail! 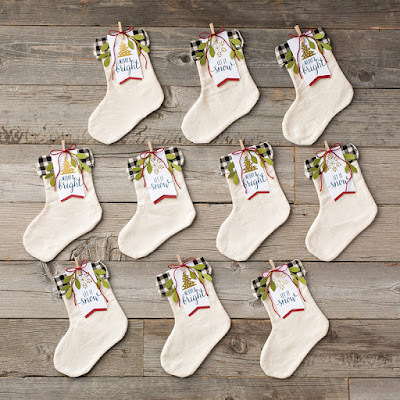 Every kit includes an exclusive stamp set, ink spot, and embellishments to create a predesigned project. At least six times a year, we send an all card kit with eight or more cards. Sometimes the kit includes cards plus gift bags, banners, treat bags, or boxes. Other times, it’s home décor, giftables, or just treat packaging. I absolutely LOVE getting my Paper Pumpkin kits in the mail each month. For me it's a real treat to be able to sit down and relax while putting together projects that have already been pre-cut and ready for me to assemble. As a demonstrator, I'm usually the one designing and prepping projects - Stampin' Up! has really made it easy for both me and my customers to take some time each month creating their awesome kits. If you'd like to take a spin drive and give Paper Pumpkin a try, now is the perfect time to do so. Your first two months are 50% off (and the regular price is already a steal of a deal!) and you can cancel anytime. Click HERE to learn more and/or to subscribe. 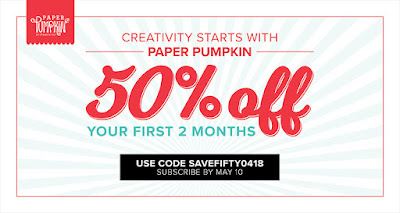 Until March 31st you can even earn FREE Sale-a-bration items with your Paper Pumpkin subscriptions too! 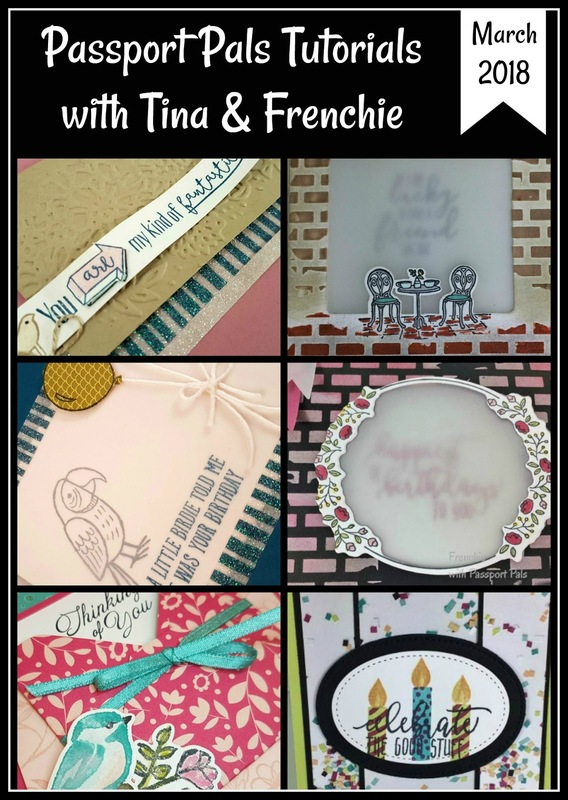 Every month my friend Frenchie (France Martin) and I create a special tutorial with six projects exclusively for our customers! Our "Passport Pals" tutorials includes measurements, colour photos, step-by-step instructions (sometimes videos) and of course, the supplies list! This is our way of thanking YOU, our valued customer, for shopping with us! Every customer who places an order through my online store will receive 12 beautiful project sheets by email. When your order is a min. $60CDN you'll also receive the exclusive BONUS "Passport Pals" tutorial! Simply enter this month's special host code prior to submitting your order through my website. If your order is $200 or more DO NOT enter the Host Code so that you will also receive your stamping rewards (I will still send you the PDF tutorials). here to shop through her online store. Enjoy the day and HAPPY STAMPING! What a cute CAS card. Beautiful designer paper.